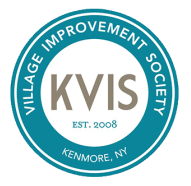 Over the years the KVIS has planted many trees in Kenmore. One year after the Surprise October Storm, we planted over one hundred trees. We've planted trees on Village streets and in Mang Park. 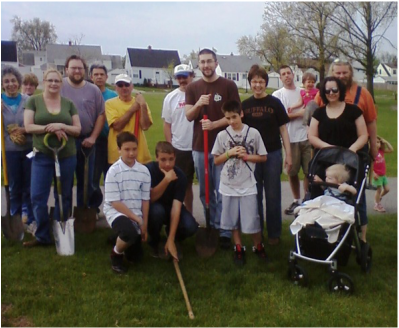 Each time we do this volunteers gather with shovels and rakes and are instructed about positioning the trees, adding the fertilizer, etc. to give the trees the best chance of thriving. Many thanks to Pat and Rich Dowling, Superintendent of the DPW, Andy Mang, Park Supervisor of Maintenance, Rich Ford, and to Re-Tree WNY for their assistance with the greening of Kenmore. The KVIS hopes that everyone will enjoy the shade and protection the trees will provide for many years to come.